Allas Sea Pool is a lido type of spa near the center of Helsinki. The sea pool has three pools built on the sea: regular pool, sea water pool and children’s pool. There are also saunas and cafeteria. The pools are open year round and especially on the wintertime the experience is pretty nice. The sea pool is not heated in the wintertime so if you´d like to know what ice swimming feels like, this is pretty close to that. 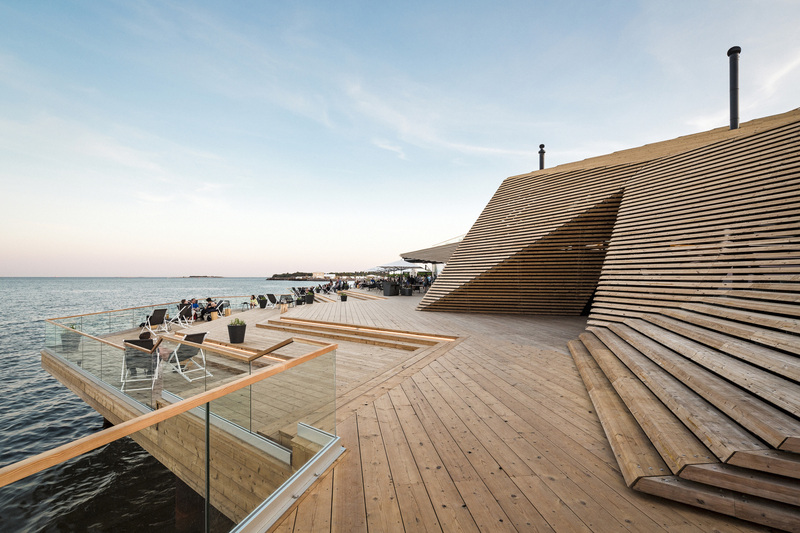 Löyly is a 1800m2 sauna complex in Hernesaari Helsinki built completely of wood. You can either reserve own souna for your group use the public option. From the outside Löyly is not a typical finnish sauna, but the architecture is pretty interesting. From the inside the saunas are still close to the typical Finnish ones with wood heated stoves. Don´t miss the smoke sauna, a special type of sauna without chimney where you will sit in the smoke. 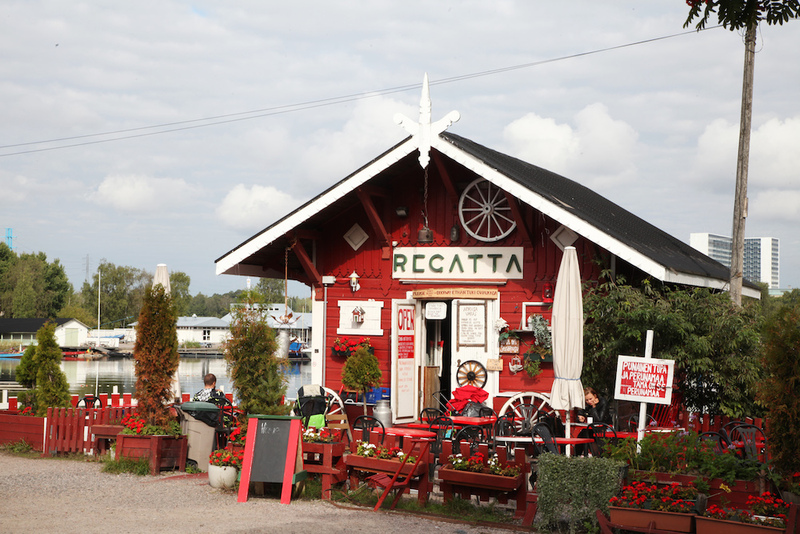 Regatta is our choice for the nicest cafe in Helsinki. It is placed in a historic small cottage that only fits few tables and used to be fishermens fishing net warehouse in the 19th century. Regatta is open all year round, every day. In the wintertime a hot chocolate with korvapuusti (cinnamon bun) enjoyed in the hut is a great way to stay warm. In the summertime there is an outdoor seating as well as the places inside will run out. The refill concept here is pretty interesting, you will get paid back 5c if you refill you coffee cup. You can also hire a canoe or paddleboards here or buy sausages and grill them over the open fire. This is clearly the coolest bar in Helsinki. Helsinki does not have many tall buildings so once you come here, you will have a great view over Helsinki in almost any direction. Torni also boasts the by far coolest bathrooms in Helsinki with a panorama view over the city. During the ,2nd world war the german officers took over the building to plan their war operations. At that time the ”Tower” was called the center of spys. 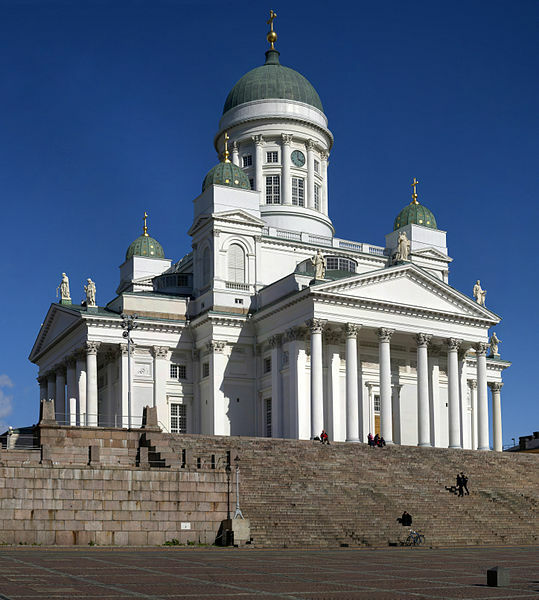 The 68m high, 13 storey building was It was the tallest building in Finland for 45 years from 1931 until 1976. Torni also has a hotel with 152 rooms. 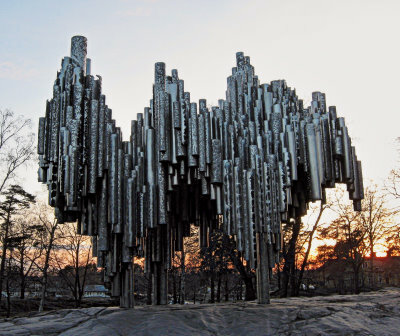 The Sibelius Monument is dedicated to the Finnish composer Jean Sibelius (1865–1957), probably the most well known composer in Finland. The core of Sibelius's oeuvre is his set of seven symphonies. In addition to the symphonies, Sibelius's best-known compositions include Finlandia, the Karelia Suite, Valse triste, the Violin Concerto in D minor and The Swan of Tuonela . His works continue to be performed frequently in the concert hall and are often recorded. Kaivopuisto the oldest and most well known park in Helsinki. When the weather is nice during the summertime the park is filled with people who come there to have picnic, sunbathe, play games or just hang around. Kaivopuisto offers several hectares of parks, both on flat ground, and on cliffs. If you wish you can also always choose to have a sea view as the park is by the sea. 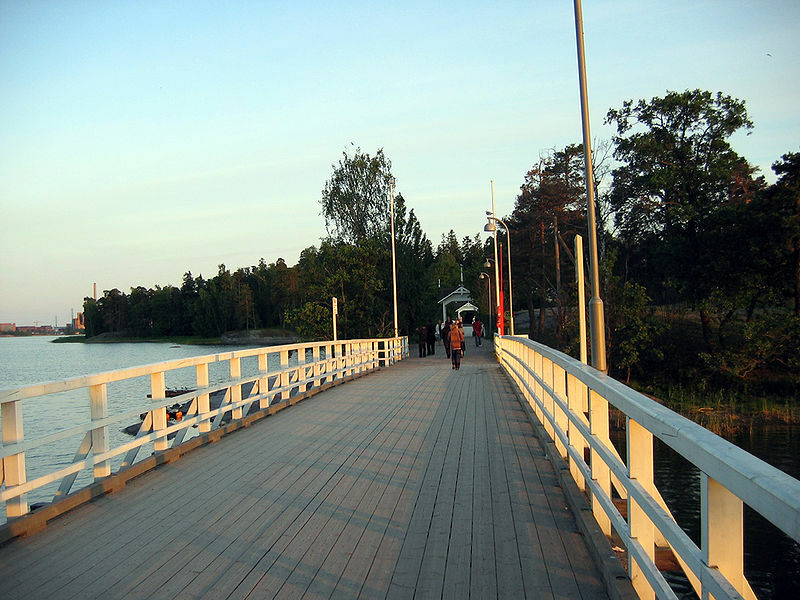 Seurasaari is an ideal destination to enjoy the rural, peaceful outdoor atmosphere in Helsinki. The island is known mostly as the location of the Seurasaari Open-Air Museum, which consists of old, mainly wooden buildings transplanted from elsewhere in Finland and placed in the dense forest landscape of the island. The Macys of Helsinki. 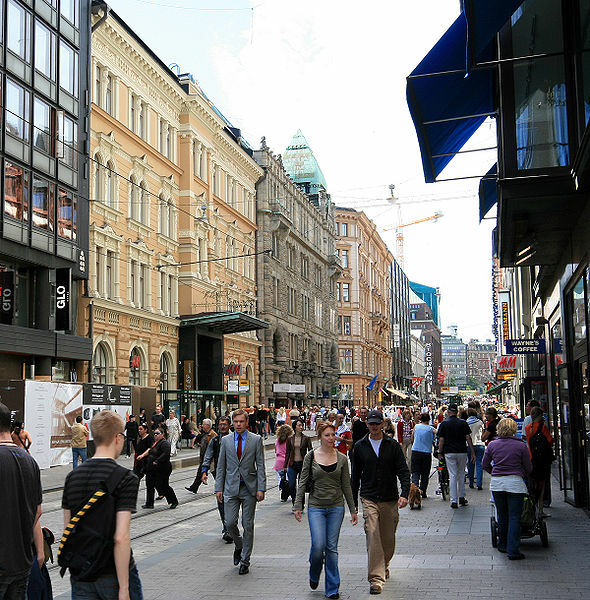 If youre going shopping in Helsinki, its good to take Stockmann as your starting point. The selection here is pretty good and the prices are reasonable. 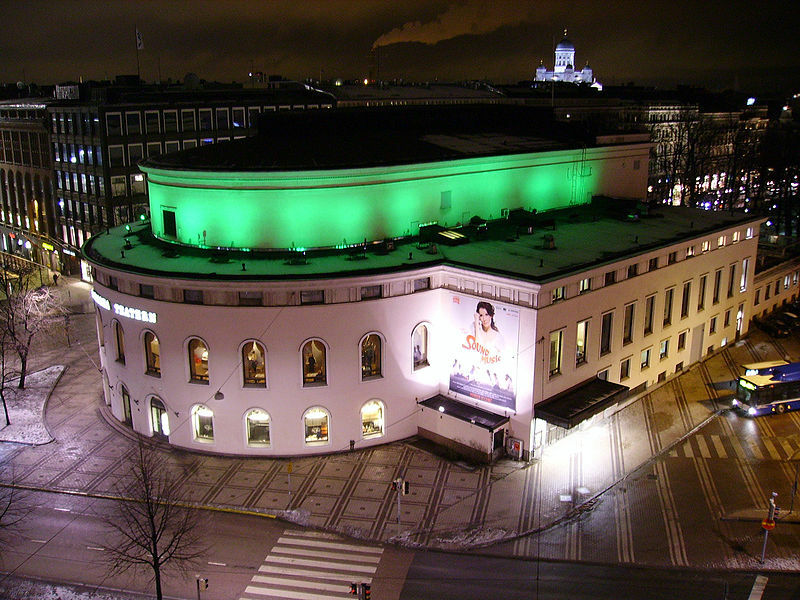 Stockmann is the oldest and biggest department store in Finland. It was originally established in 1862 by a German merchant Georg Franz Stockmann. 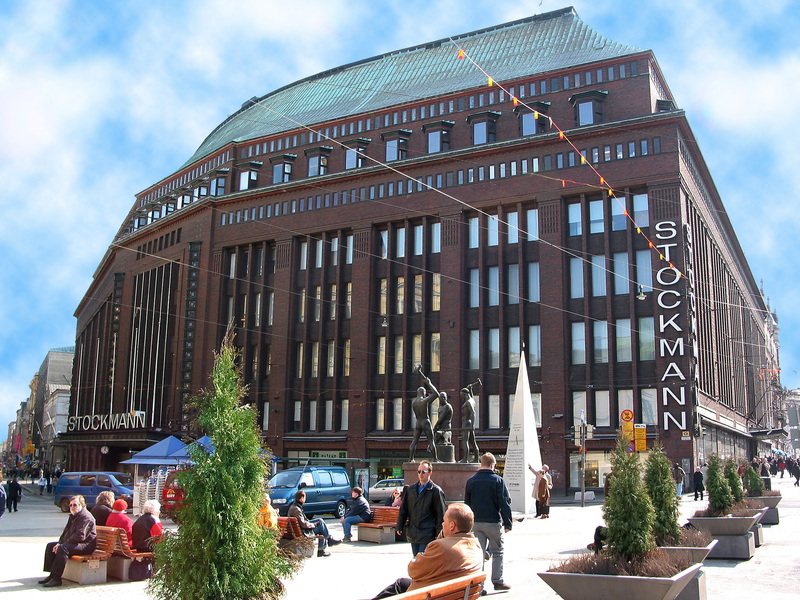 In 1930 the building which houses Stockmann today was finished, complete with revolving doors, a soda fountain and escalators and Stockmann moved here from Senate Square. Suomenlinna is an inhabited sea fortress built on six islands in front of Helsinki. It is a UNESCO World Heritage site and popular with both tourists and locals, who enjoy it as a picturesque picnic site. 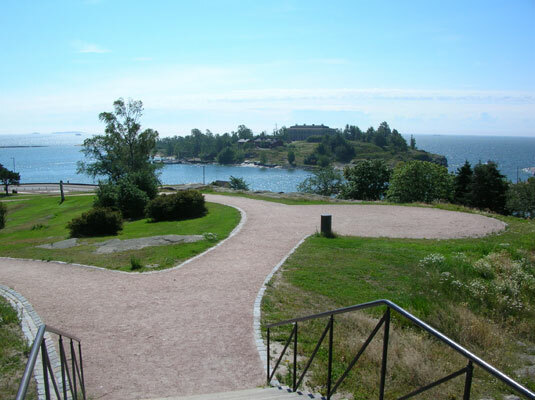 When the weather is good, Suomenlinna is perhaps the best place for a picnic in Helsinki. 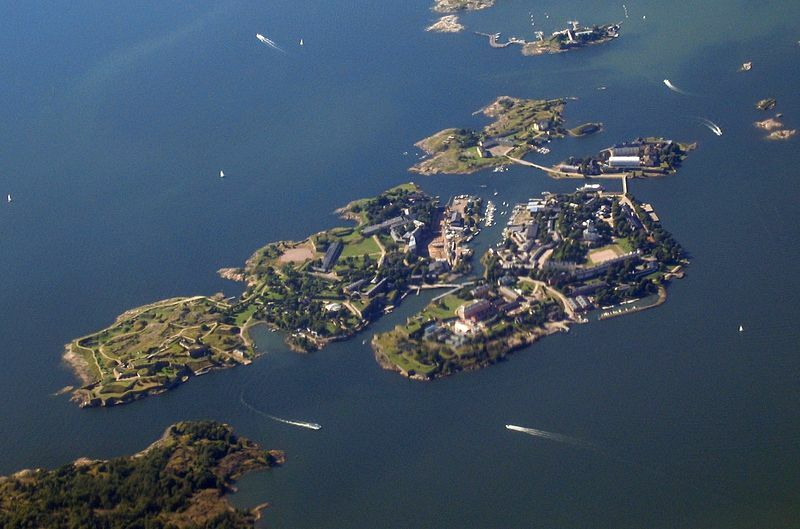 The construction of the fortress was commenced in 1748 by the Swedish crown as protection against Russian expansionism. At that time Finland was still a part of the Swedish kingdom. The general responsibility for the fortification work was given to Augustin Ehrensvärd. 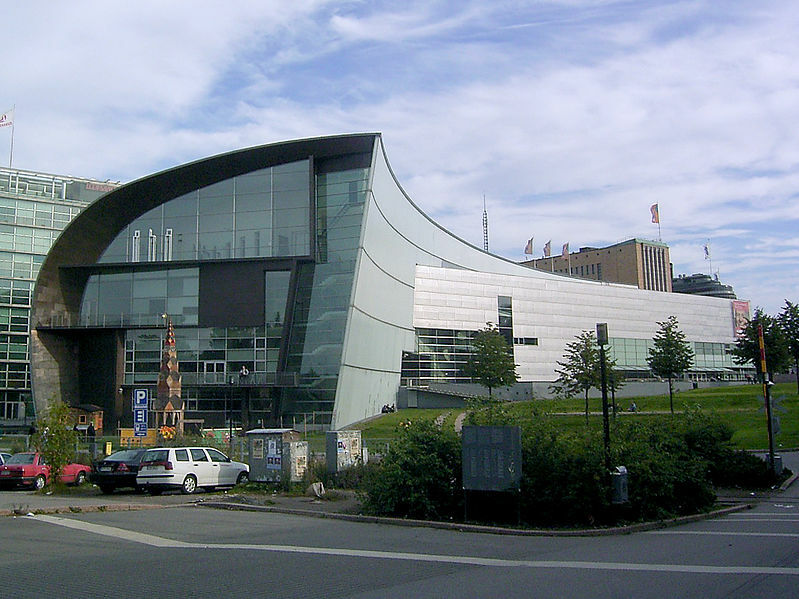 The weird looking building in center of Helsinki is Kiasma. It is a contemporary art museum with 5 floors and over 9000 pieces of art. Its name kiasma, Finnish for chiasma, alludes to the basic conceptual idea of its architect, Steven Holl. The museum exhibits the contemporary art collection of the Finnish National Gallery founded in 1990. Its central goal is to make contemporary art better known and strengthen its status. A perfect getaway from the city in the middle of the city. Entering this park of hundreds of exotic plants is sometimes even better than actually travelling to the tropic. Helsinki University Botanic garden is the oldest scientific plant collection in Finland. The Garden was founded in 1678 in Turku and moved to Helsinki in 1829. The old style of the garden has been preserved as well as several old Empire style buildings from the 1830′s. Finland used to have corals, turqoise waters and palm beaches. Thats before our piece of continent sailed to its current position near the artctic circle. Take journey to the history of Finnish nature from prehistoric times to this day in Finnish Museum of Natural History. The best part in Finland is the nature, I think. And if you don´t have time to explore the wilderness in Finland during your visit, this is a recommended option for seeing the varieties of Finnish nature in an all in one package. A 14-theatre cinema complex owned by Finnkino. This is the biggest movie complex in Finland. Tennispalatsi was opened on 26 February 1999. The auditoriums vary in size from 92 to 703 seats. The biggest one has a screen of 184.8 square metres (1,989 sq ft) (8.8 × 21 m/29 × 69 ft). The auditoriums utilize Dolby Digital, DTS and SDDS technologies. All auditoriums also fulfill the THX standards, but after Finnkino quit paying the THX licensing fees in 2004, the THX logos haven't been used in Tennispalatsi or Finnkino's marketing, thus they cannot be considered THX certified anymore. 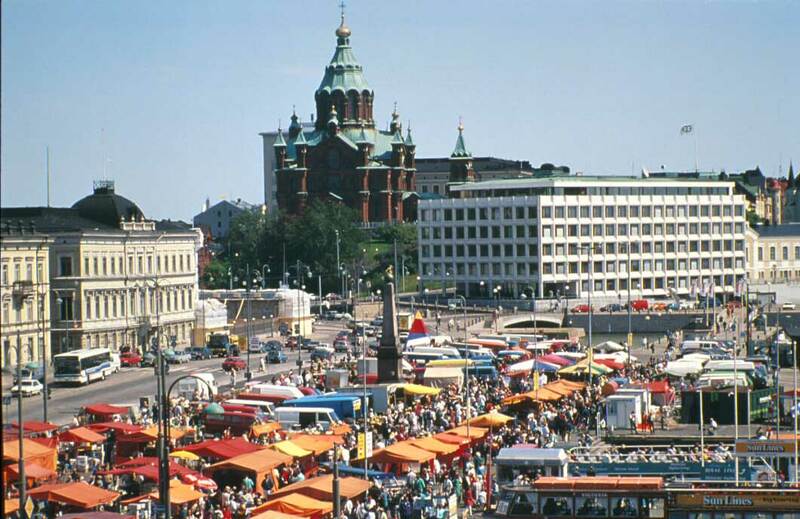 This is perhaps the most popular outdoor flea market in Helsinki, especially in summertime. People come here to sell their old, used stuff from clothes to porcelain. It´s a nice place to circle through even if you aren´t really looking for anything. The need may rise after the purchase. One can find interesting and useful items here for small money. Rumors tell, some lucky have found some valuable antiques but it will require an unlikely coincedence of unaware seller and a lucky buyer so don´t count on it. The Hietalahti Antique and Art Hall that houses antique shops is also next to the market square. For a bit more easy going feeling, Teatteri is a good choice. The downstairs is slightly chic, the music is not too loud and the overall athmosphere is a bit more private://glass of champagneprivate:// than private://pint of beerprivate://. The upstairs on the other hand is more of a regular nightclub. A good combination even for whole night. Very nice athmosphere for having a beer with friends. A library type of decoration brings an authentic feeling and for a while you will think you are in an intelligent company. Few beers will flush away this feeling. Belge also serves food and the other side is reserved for dining only. Helsinki has two ice hockey teams and two ice halls. Hartwall Areena is the newer and bigger one and is home arena for Jokerit ice hockey team. The capacity of this hall is much bigger than the one of the old hall but some claim that the atmosphere is not tight enough in here. Anyway, it is the most used inside Arena in Helsinki for all kinds of events. It is a large multifunctional indoor arena and it gets its name from its largest sponsor, the beverage company Hartwall, also based in Helsinki. 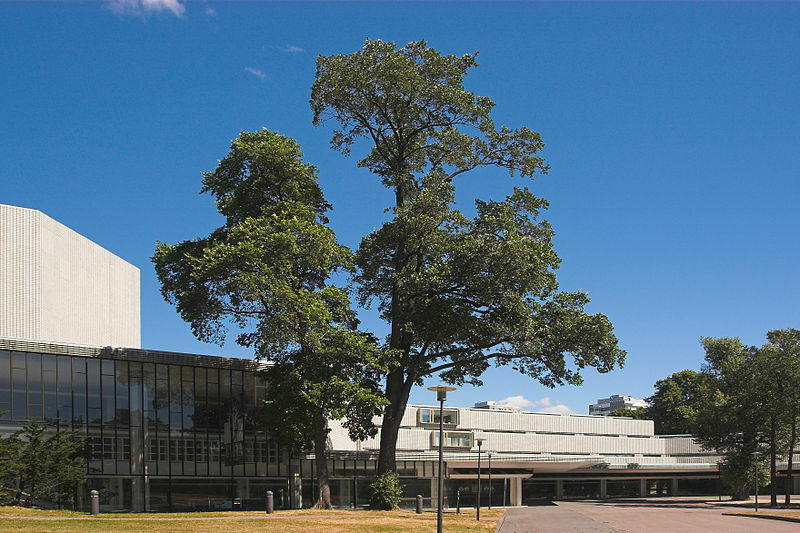 The Helsinki City Theatre was founded in 1965. The plays are normally in Finnish. Yrjönkatu swimming hall was opened in 1928 and for a long time it was the only one in the town. It is the most legendary swimming hall in Helsinki and known for allowing only naked swimming. Since 2001 the bathing suits have been allowed but men and women still have their own shifts. The architecture of the building is very impressive and beautiful representing the 1920´s classism. It was renowated in 1999 to it´s original glory. A relaxed terrace bar right next to the sea and a bit on the sea as well. Away from the city noice and hussle but still full of people when the weather is good. In the summertime the evening sun is shining here until the terrace closes at 23:00. One of our favourites in Helsinki. Currently Mestaritalli is only open during summertime seving drinks and small snacks. If you´d like to have a dinner or lunch, there is restaurant ”Mestaritalli” right next to Meritalli which is pretty nice as well. Pretty big club in two floors and several rooms or halls. Upstairs holds the bigger dancefloor and a pub. Downstairs has also a bit smaller dancefloor and a smaller pub type of room. private://Kalleprivate:// is quite popular mostly because it is free of charge and the queues are not that long. The drinks are expensive. Not perhaps so trendy as some other places, but still full of people. Thursday is a special night in Kalle and if you are going out on thursday, this is the place. Read more about Kaarle XII "Kalle"
The Kumpula Outdoor Swimming Pool is the other of two most popular outdoor pools in Helsinki. Kumpula is slightly less crowded than the one near Olympic stadium. Both of the pools were built for 1952 Olympic games so they are pretty similar in architecture. The atmosphere in Kumpula is a little less hectic so if you are not especially looking for a very lively atmosphere, this might be a better choice. The swimming pool was built as a practice pool for the 1952 Summer Olympics and it is Finland’s third oldest outdoor swimming pool. 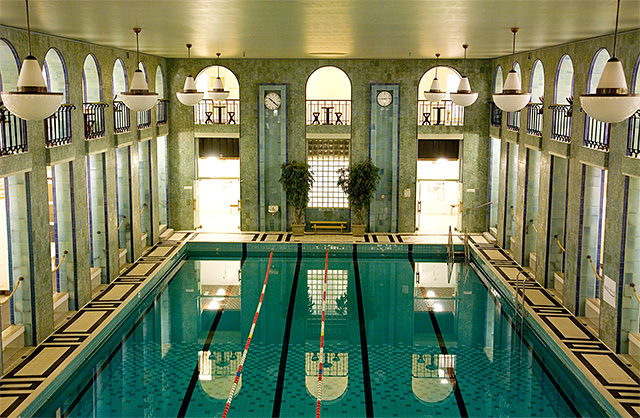 In 2005, the swimming pool was restored to its original appearance while the saunas and dressing rooms were modernized at the same time. Yrjönkatu swimming hall was opened in 1928 and for a long time it was the only one in the town. 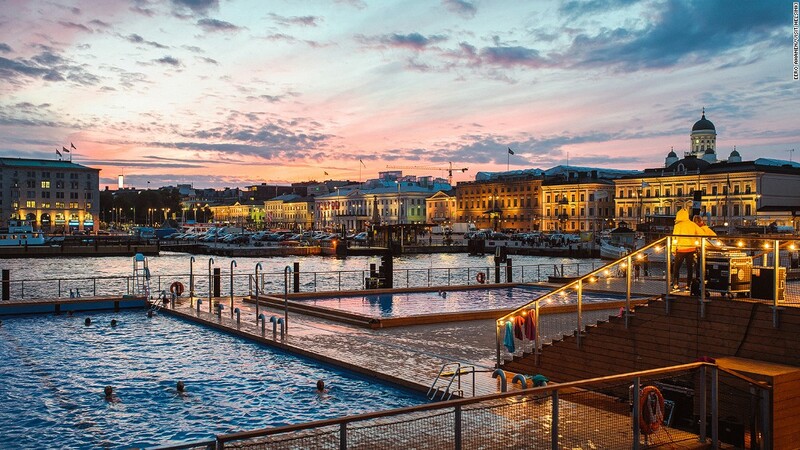 It is the most legendary swimming hall in Helsinki and known for allowing only naked swimming. The biggest medicinal bath in Europe is located in Pest. The name of this spa complex is Széchenyi Baths. Since the late 19th century this was the favorite place both for leisure and medical treatment of the Budapest residents. The most famous part of luxury Danubius Hotel Gellért is their spa complex, for which many claim is the most famous one in the world. In the times of Suleiman the Magnificent, the Ottoman Empire extended to the Central Europe. With such wealth in their hands, the warlords from this period could afford extensive luxury.